These sweet, raw, no bake treats take minutes to throw together, are filled with good-for-you ingredients, and make for quick, portable breakfasts and snacks. 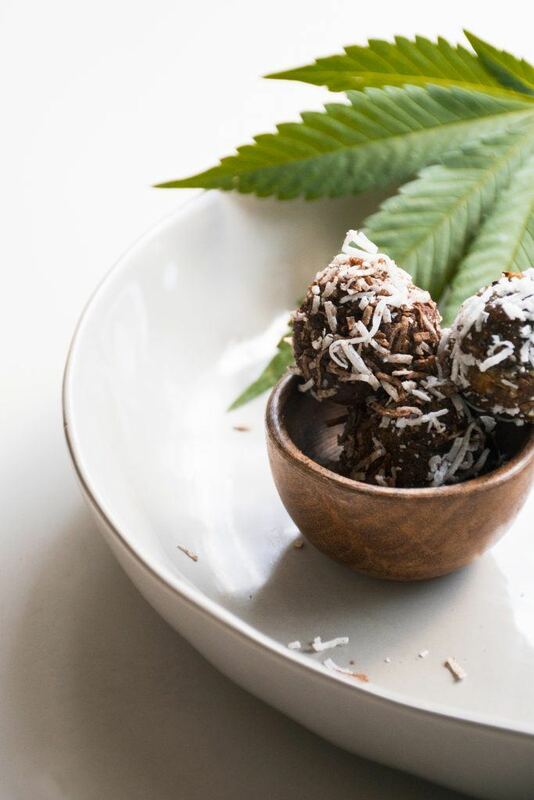 Pairing powerful superfoods, and a microdose of one of our favorite spices, these bite-size balls will provide your body with cannabidiols , vitamins, and trace minerals it needs to perform at its optimal best throughout the whole day! Healthy and delicious, they have the perfect combo with their raw ingredients, making them one of our favorite snacks or on-the-go breakfast, using our Chocolate Peanut Butter Spice! So what puts the ‘super’ in our balls? The combo of all of the superfoods + CBD of course! Superfoods are just that – foods that contain significantly higher quantities of antioxidants, vitamins, minerals, and other health-boosting, anti-aging, disease-fighting goodies. Some are every day whole foods that you’ll likely have tried before (think broccoli and blueberries). Others are more exotic, grown in the rainforests of Peru. Spirulina is a blue-green algae that is grown and harvested in water. It’s usually dried after harvesting and available as a powder or capsule/tablet – we used a powder for this recipe. For starters, these unique, blue-green algae is packed with protein, and unlike many other plant-based sources, spirulina offers a complete protein, containing all nine of the essential amino acids that our bodies cannot produce on their own. As you may have guessed by its rich emerald hue, spirulina contains a vast amount of chlorophyll, which helps the body to eliminate toxins and boosts the immune system. Spirulina is also known for its wealth of other essential vitamins, including B12, K1, K2, and A. It is also rich in Omega-3, 6, and 9 fatty acids, which are linked to promote optimal health. Spirulina is also a key source for antioxidants. Antioxidants collect free radicals, which are unstable atoms that can cause effects to cellular damage within the body. It’s said that spirulina has four times the antioxidant power of blueberries! 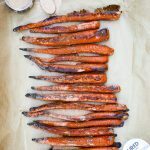 To top it off, its has remarkably high levels of iron, and it containing many other crucial minerals, including potassium, chromium, copper, magnesium, manganese, phosphorus, selenium, sodium, and zinc, making it one of the major highlights of this recipe. On a nutritional level, Goji Berries are unmatched by any other food. They are loaded with 18 kinds of amino acids and contain all eight essential amino acids (such as isoleucine and tryptophan). Plus, Goji Berries contain up to 21 trace minerals (the most powerful ones being zinc, iron, copper, calcium, germanium, selenium, and phosphorus). Goji Berries are the richest source of carotenoids (more beta-carotene than carrots) of all known foods or plants on earth. They contain 500 times the amount of vitamin C, by weight, than oranges, so the immune boosting properties are A.M.A.Z.I.N.G. Goji Berries also contain vitamins B1, B2, B6, and E.
A popular herb used in Chinese medicine, Goji Berries are known as the “Happy Berry” in China. Because Goji Berries are very high in antioxidants, they are prescribed for dozens of different conditions throughout the world. Ancient Chinese medical texts praised Goji Berries as tonic support for the eyes, liver, and kidneys. More than anything, they are believed to increase the “chi” or life energy in those that eat them. Making them a HUGE staple for our superfood balls. Raw cacao powder has more than 300 phytochemicals and nearly four times the antioxidant power of regular dark chocolate, and contains protein, calcium, carotene, thiamin, riboflavin, magnesium, and sulfur. Cacao can improve heart health, cholesterol, stress levels, and inflammation, to list just a few physical advantages. Other benefits cacao releases into the brain include anandamide, endorphins, phenylethylamine, and serotonin, all sparking “blissful” and “euphoric” like feelings. All this satisfying goodness can come from a frothy mug of hot cacao (recipe to come) or a creamy ball of chocolate like the recipe below. These balls will have you hooked from their blissful hangover. 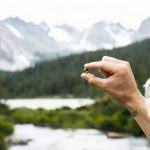 By adding our spice to these already super, superfood balls, you can maintain a healthy cannabinoid levels throughout the day, calm your nerves, and reduce inflammation, on top of all of the vitamins and minerals the other superfoods bring. Paired with MCT oil, you are given an energy-boosting supplement that raises ketone levels, the source of energy the body uses when it burns fat instead of glucose. MCT oil is high in saturated fat. The oil has anti-fungal and antimicrobial properties that may cause a die-off reaction in those with compromised immune systems. MCT oil also is known best for energy boosting properties, while helping maintain proper stomach acid provide better support for maintaining gut health. Another reason these superfood balls are at the top of our healthy menu list! It’s also considered an adaptogen, a name given to certain herbs, plants and natural substances that help the body naturally adapt to stressors like a busy schedule, demanding job or illness. Not only that, but maca provides a host of important micronutrients and is jam-packed with antioxidants, and it has been shown to improve sexual health, balance hormone levels, and boost energy, mood and memory. 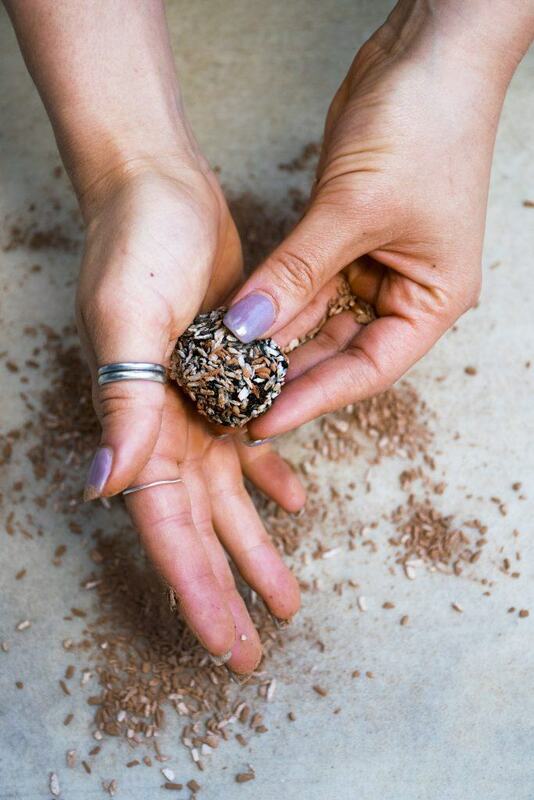 With just the amount these superfood balls provide of the sacred powder, maca can make you feel more awake, energized, and driven. Maca can help increase energy without giving you the “jitters” or a sense of shakiness like high levels of caffeine can. Now with that knowledge behind you, you can make these nutrient bombs to boost your immune system, and load up on the cannabidiols, vitamins, and minerals your body needs, just in time before the cold and flu season comes! Add cacao nibs to food processor and process until coarse powder is formed. Spoon out 2 tbsp to roll balls in if desired. Add melted coconut oil or MCT into food processor. Add remaining ingredients to food processor and process until broken down. Mixture should stick together when pressed between fingers. If mixture is crumbling, add a couple more dates and process again. Spoon out ~2 tbsp of the mixture and press and roll into a ball with hands. Repeat until mixture is completely used. Roll some of the balls in extra cacao and/or coconut if desired. Refrigerate for at least 30 minutes before eating.